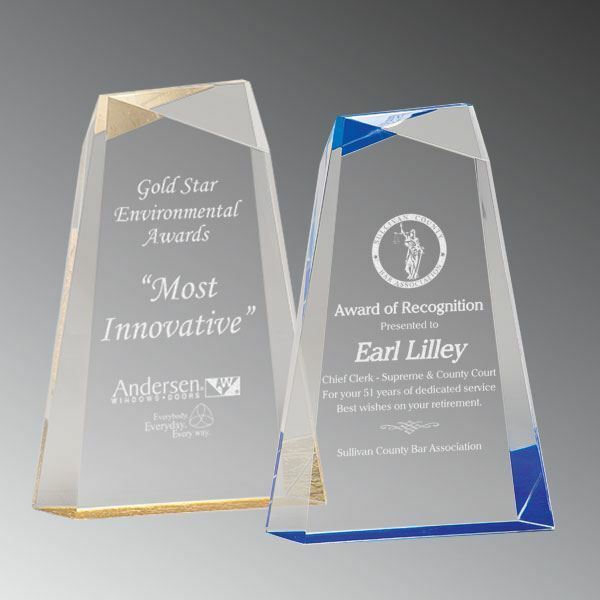 Clear acrylic award with opaque blue silk-screened back. 3/4" thick on matching blue acrylic base. Gift box Included.